Australian Dav Whatmore has been named as the new coach of Zimbabwe. The Sri Lanka-born 60-year-old has agreed a contract until the end of the World Cup in March 2015. 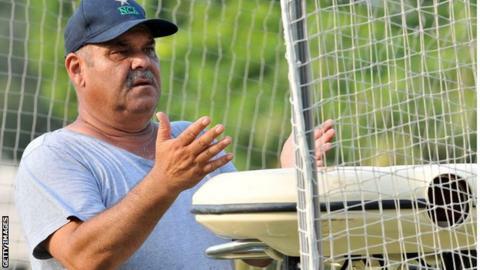 Whatmore, who coached Sri Lanka to the World Cup title in 1996, will take charge of his fourth international side having also led Bangladesh and Pakistan. He said: "I know this team. I have seen them beating Pakistan, so the potential is there."